Located right in the heart of Kahana, these ocean view townhouses truly become a home away from home in paradise. 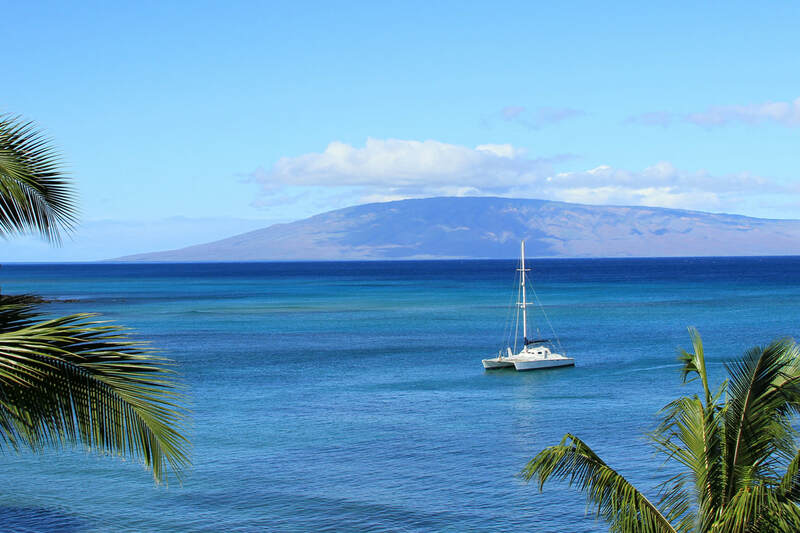 These spacious two bedroom Maui vacation rentals are perfect for couples or small families. Just across the street from Kahana Beach, come watch the green flash of a Hawaiian sunset or the frolicking whales during winter at this perfect tropical get-away. ​Brand new remodel upstairs one bedroom one bathroom with washer dryer. Directly across from Kahana Beach and close by to what local surfers call S-Turns. Cute beach hale decor with high vaulted ceilings. Large King Sized Bed and large closet space, and Queen Sleeper Sofa in the living room. Fully equipped kitchen with brand new appliances. This property is part of the larger Kahana Villas property so guests can access the pool and tennis courts. Conveniently located close to several restaurants and cafes' and also two local bus stops. Plenty of parking and approximately a 10 minute drive to Kaanapali and a 5 minute drive to Kapalua. This is quiet residential two story building that is ideally situated for that Maui getaway without paying resort prices. Ocean view townhouse style condo across the street from the beach in Kahana. Both master and guest bedrooms and bathrooms are upstairs. Master bathroom has a tub. The guest bathroom features a large walk-in shower, no tub. In addition to the TV in the living room there are also TV's in both bedrooms & an i-Pod dock as well. Bring your laptop from home and enjoy free wireless internet access. Phone charges will apply to all calls. Split A/C system cools main living area and master bedroom loft.